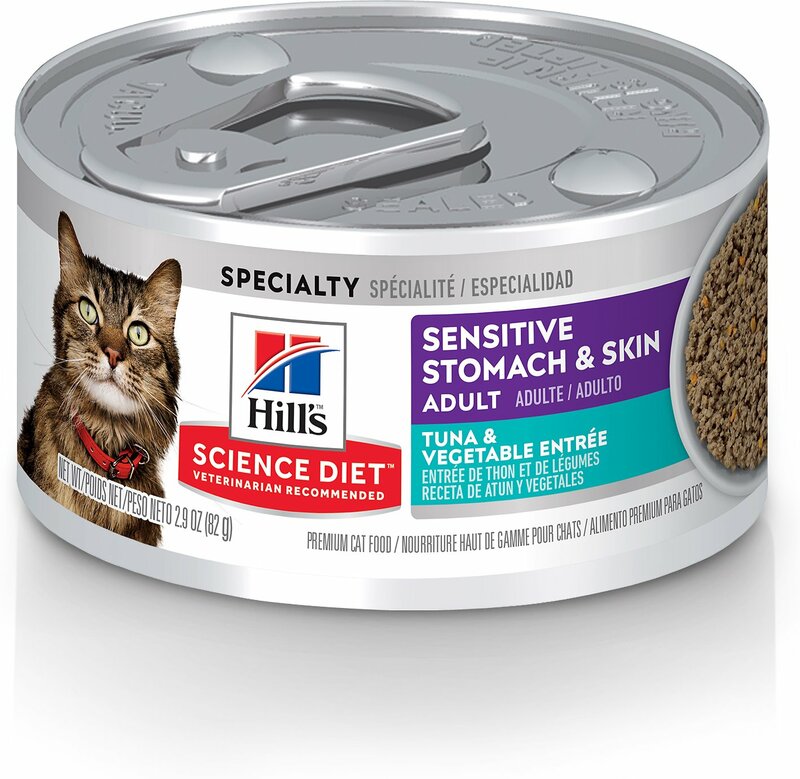 Cater to your kitty’s needs with the Hill’s Science Diet Adult Sensitive Stomach & Skin Tuna & Vegetable Entrée Canned Cat Food. Specifically designed for cats with sensitive stomachs and/or skin, this special formula is packed with all the necessary nutrients for a complete and balanced diet. Including a blend of fatty acids that nourish the skin and coat, plus an antioxidant blend of vitamins for a healthy immune system, it’s all designed to be highly digestible and flavorful. Because there’s nothing better than happy purrs and soft nuzzles, this diet is prepared to offer your cat everything needed for lifelong health. Omega-6 fatty acids and vitamin E for healthy skin and a lustrous coat. 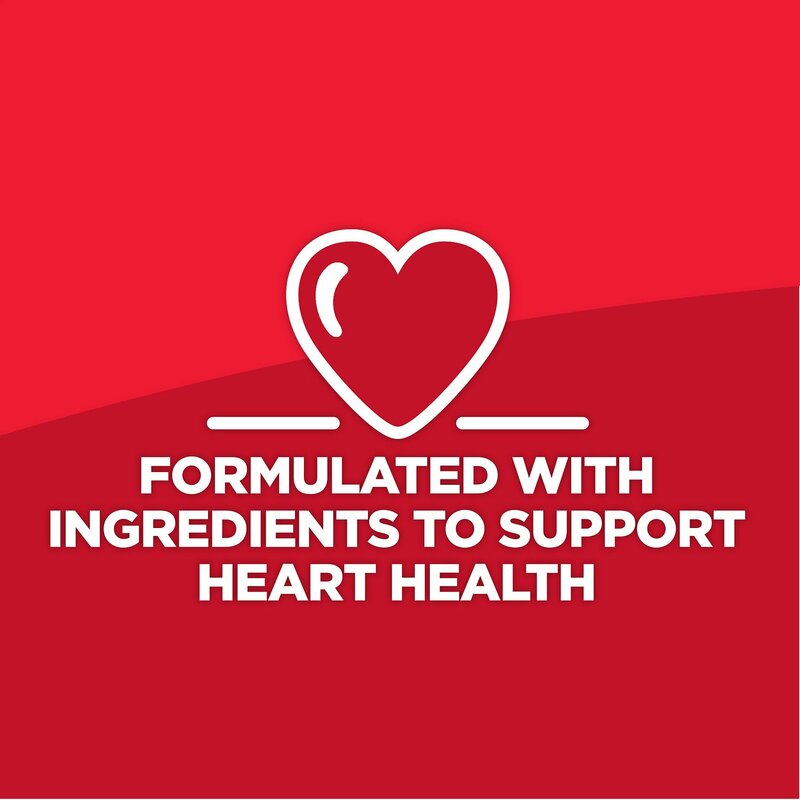 Designed for optimal nutrient absorption for complete and balanced nutrition. Proven antioxidant blend of vitamins C and E promote a strong immune system. Natural ingredients are highly digestible with a tasty flavor. Not recommended for kittens, pregnant or nursing cats. 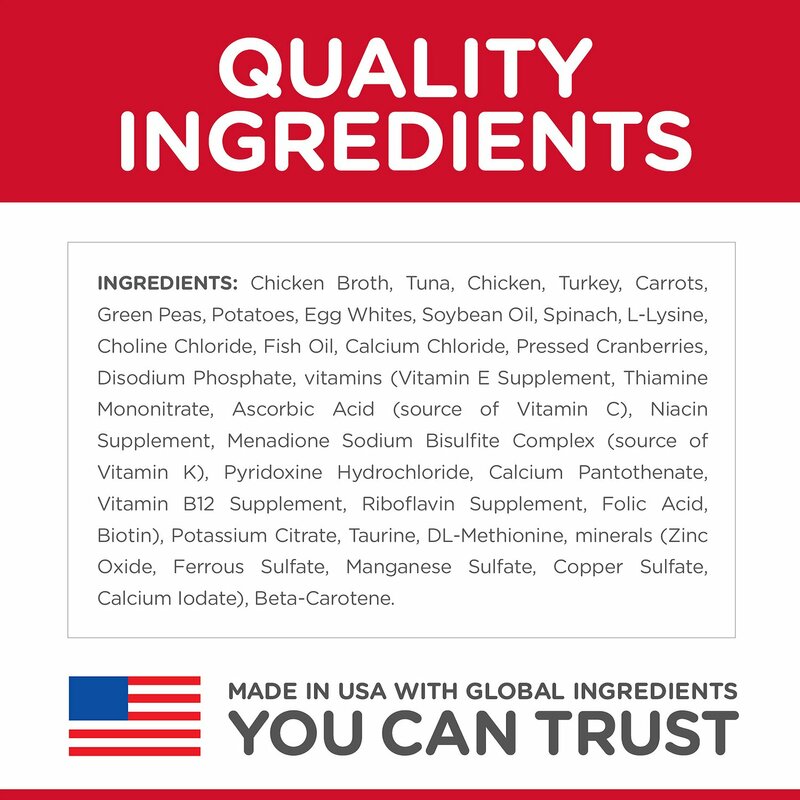 Chicken Broth, Tuna, Chicken, Turkey, Carrots, Green Peas, Potatoes, Egg Whites, Spinach, Soybean Oil, L-Lysine, Choline Chloride, Fish Oil, Calcium Chloride, Cranberries, Disodium Phosphate, vitamins (Vitamin E Supplement, Thiamine Mononitrate, Ascorbic Acid (source of Vitamin C), Niacin Supplement, Menadione Sodium Bisulfite Complex (source of Vitamin K), Pyridoxine Hydrochloride, Calcium Pantothenate, Vitamin B12 Supplement, Riboflavin Supplement, Folic Acid, Biotin), Potassium Citrate, Taurine, DL-Methionine, minerals (Zinc Oxide, Ferrous Sulfate, Manganese Sulfate, Copper Sulfate, Calcium Iodate), Beta-Carotene. New to this food? Mix increasing amounts of your pet's new food with decreasing amounts of the old food over a 7 day period. Keep fresh water available at all times! 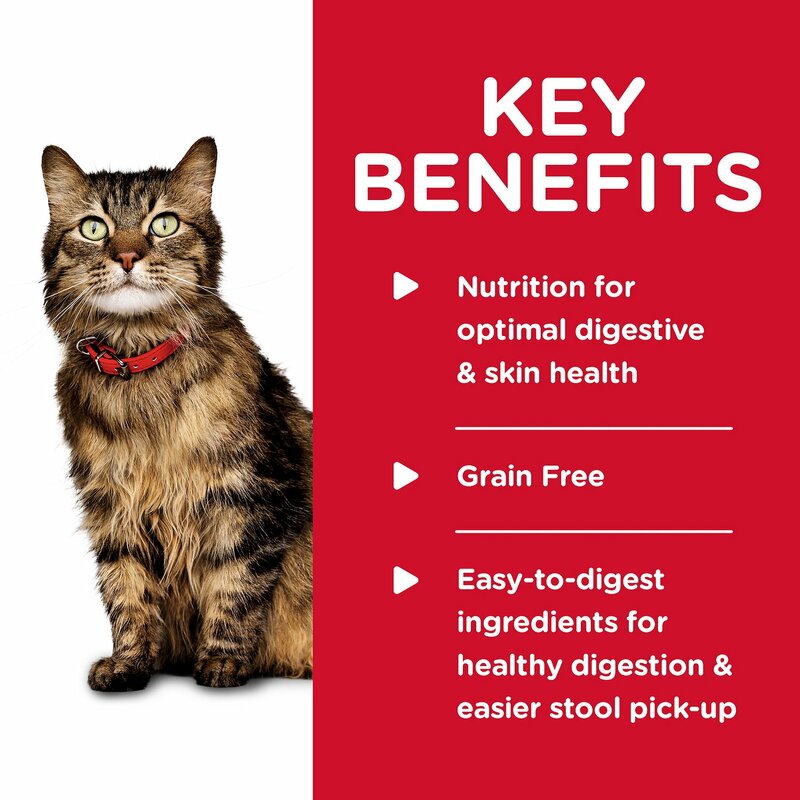 Hill's Science Diet Sensitive Stomach & Skin cat food provides precisely balanced nutrition to help with sensitive digestive systems and to improve skin and coat health. This yummy recipe is specially formulated for adult cats with sensitive stomachs and/or sensitive skin to promote easy digestion, and contains vitamin E and other nutrients for healthy skin and a glossy coat. Easily digested carbohydrate and a good source of fiber. A neutral protein that is great for pets allergies and a good source zinc and essential B vitamins. Purified fiber extracted from oat hulls and an excellent source of soluble and insoluble fiber. 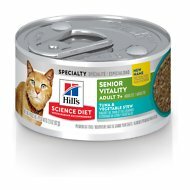 I have 3 cats which I was having high hopes this food would help. But none of them will eat it. I have tried adding gravy and food treats but to no avail. I guess I will have to donate it and get something else. Sorry, Science Diet but you didn't make this tasty enough for my cats. 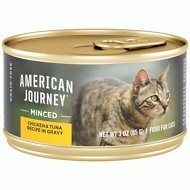 This food smells as bad as any other wet cat food but it definitely reduced my cat’s vomiting and loose stools! I buy it by the carton! They like this cat food, but it is not very wet, so I have to add a little bit of water to it to get them to eat it. My old boy (16) was having trouble keeping food down. At the recommendation of his vet tech I tried the sensitive stomach canned foods and the problem is mostly solved. He still gets sick occasionally, but nothing like it was. And he really seems to like the taste, I have to give it to him half a can at a time so he doesn't eat it too fast. I will start by saying my cats like the junk food of cat foods and anything outside of junk food makes them suspicious... the smell of this food intrigued them but after a couple licks they stopped eating it. It seems like a decent food it just was not a hit at my house. My cats loves this food!! It has helped my cat's stomach issues. 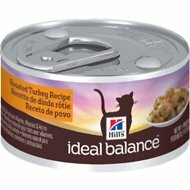 My cat has had problems with diarrhea started feeding him this product. He is better and loves it.